Angels & Demons has blockbuster written into every page; no wonder it was made into a hit movie! Part of the appeal lies in the setting. As Langdon and Vittoria dash around Rome, they face a fictional villain in real places. The College of Cardinals convenes to select a new pope in the most famous room in Rome: the Sistine Chapel. Tourists posing for photos in Piazza Navona may recall the battle between Langdon and the Hassassin in the Fountain of the Four Rivers. Langdon and Vittoria take their first wrong turn at the Pantheon. Brown skillfully weaves together the familiar and the mysterious into a thriller that transcends the centuries. 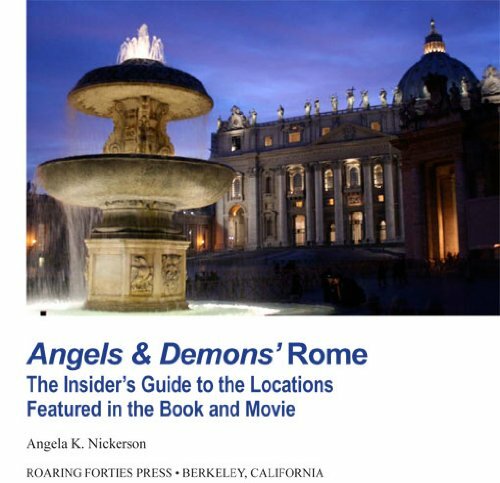 Angels & Demons' Rome: The Insider’s Guide to Locations Featured in the Book and Movie embraces the mixture of fact and fiction that Brown delivers. Slipping between the world of conspiracies and the solidity of a travel guide, Angels & Demons' Rome: The Insider’s Guide offers travelers a new perspective on the city. Biographical information about the book’s key historical figures—Raphael, Galileo, and Bernini—places them in a historical context, while practical tips afford the traveler an insider’s guide to the Eternal City and maps and photographs help readers see Rome the way Langdon and Vittoria did. Used as an itinerary or as a companion to the novel, Angels & Demons' Rome: The Insider’s Guide takes the reader into a world of intrigue and collusion.